Available Sizes/Colors: Size 4T "S (4-6)" "M (8-10)" "L (12-14)"
This realistic looking Mexican girl outfit is great for fiestas, school plays and projects! Costume available in toddler and children's sizes. 100 percent polyester and machine washable. Comes in a durable snap-sealed poly bag for easy use and storage. 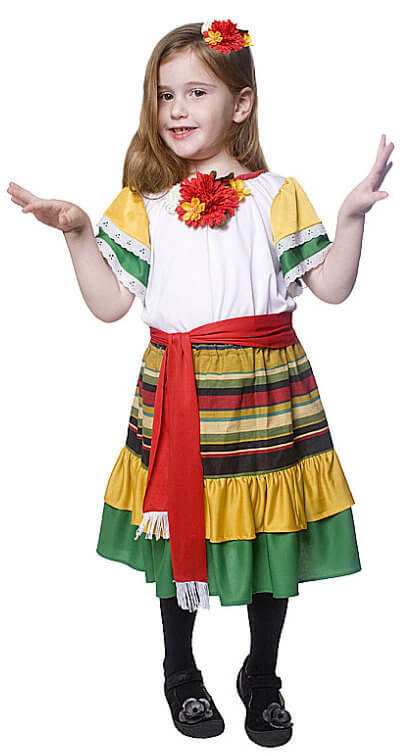 Check out more options in our Fiesta Costumessection!